Really, though, I thought I preferred spring over fall, but the last year or so has seen fall making a clear case for the favorite season. We'll see how I feel in another five months. As it stands, I am anxiously awaiting summer to end. I wore tights a couple weeks ago in an attempt to channel fall; I nearly channeled a heatstroke. Last week I wore a sweater and had to change by noon. I wore a sweater again earlier this week. It was still too hot, but I bravely gritted my teeth and turned on the ac. Is this interesting enough yet? I'm quite adept at choosing the wrong thing to wear. Point being, I just want it to be fall. Luckily, there has been a legitimate chill in the air every morning this week. Logic would tell me that now would be an appropriate time to start prepping. Prepping, mind you, not acting like it's already here. 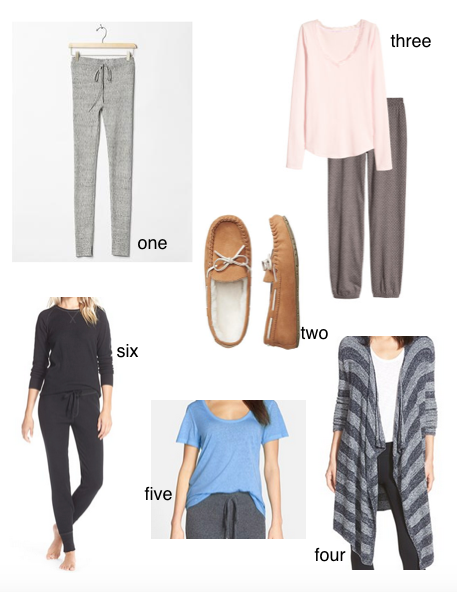 One of my favorite ways to usher in a new seasons is with pajamas. Now is when I switch out shorter sleeves for long ones, and breezy fabrics for cozy knits. I rounded up a few of my favorite options for kids, because, let's be honest, the seasonal restocking is almost always for them. Growth spurts might play a part in that. 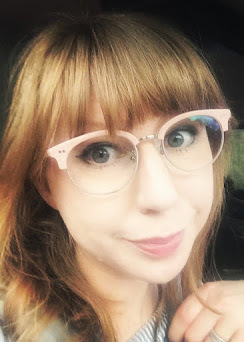 I included some things that I liked for myself, too, because sometimes I do that. 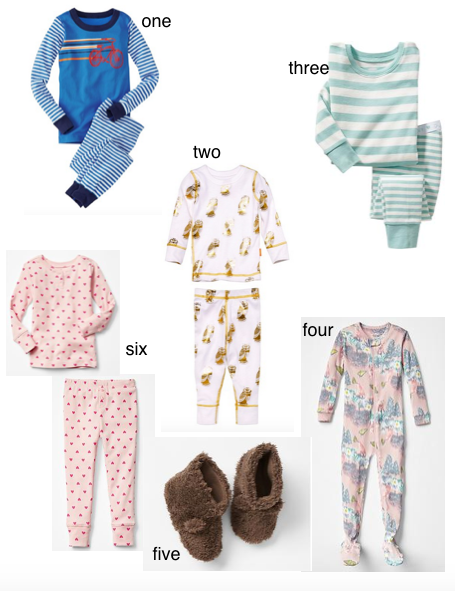 I go for two-piece pajamas for kids almost exclusively. I love, love a good footie pajama, but when you're changing two kids' diapers in the middle of the night, it's a little too much. I switched over to tops and bottoms for all three when my youngest was maybe five months old and it made a world of difference. Also, I'm four years into parenting and have yet to zip up a kid in their pajamas, but it's gotten close. I'm going to go ahead and quit while I'm ahead there. So, two piece pajamas. Gap is usually my go-to. I like being able to mix and match. Their patterns aren't my favorite right now, but the quality always lasts. Old Navy has fantastic options right now. I loaded up my cart writing this. And the gold owl jammies? I know they're from the girl's section, but I call uni on that ones. Okay, I threw in a pair of footies. My pajama style right now kind of blurs the line between lounge wear and sleep wear. By that I mean, on days I don't have to be anywhere, I'm in my pajamas until noon. Or 3 pm. I don't want to feel completely sloppy, so I try to go for pieces that are a bit more fitted. I've been looking for a cozy wrap to wear on really chilly mornings. I mean, I would love to sit on my couch wrapped in a blanket, but responsibilities. I'm not entirely sold on this option, but it's bamboo. I will admit to holding my babies in their bamboo swaddling blankets and wishing I could be wrapped in bamboo. I guess now's my chance.